[vc_column_text]What is experiential marketing? Experiential marketing is a concept that integrates elements of emotions, logic, and general thought processes to connect with the consumer. It takes into account the fact that people rely most on honest appraisals of products and services by their peers to make their purchasing decisions. This can be done by a combination of video, audio, photos, or text. 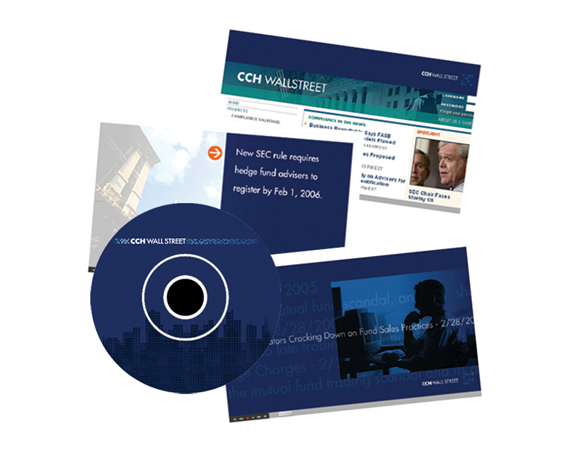 CCH Wall Street was launching a new service offering and asked Evo to create a CD-ROM based demo of their online application. Evo created this demo that encourages users to pop the CD into their PCs and view the demo of the new service with explanation, animation and audio voice-overs. We also designed the CD mailer and sleeves that is part of the direct mail and experiential marketing effort. Evo created a touch screen kiosk and outdoor multimedia display for the sales office of Winthrop Club, a high-end, LEED compliant, environmentally-friendly residential home construction. 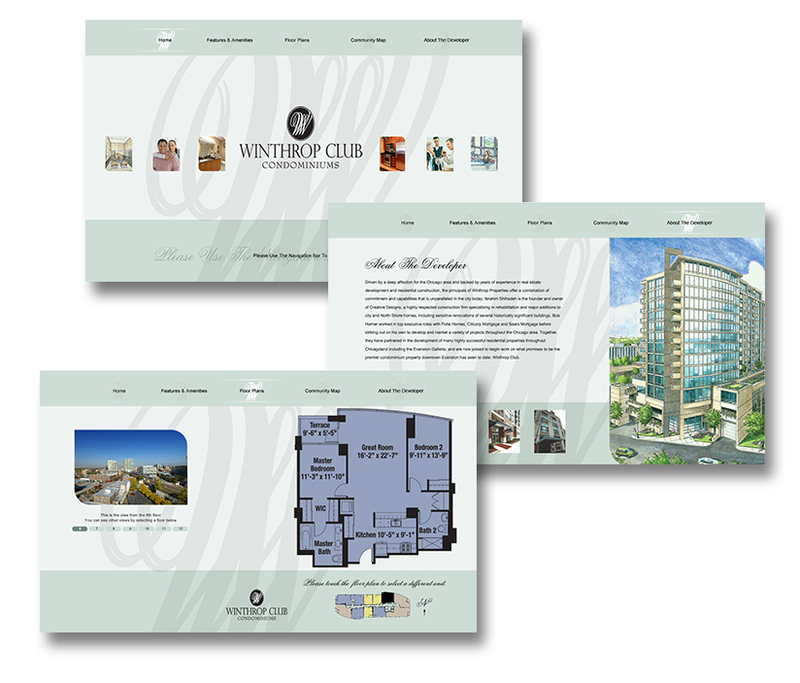 The touch-screen allows users to discover the advantages of living in Winthrop Club and also highlights the unique features of the building. Also as part of this sales effort, we developed a 3 minute media loop that hangs in the window as an outdoor display to encourage sales opportunities to people walking by the office. The media loop uses a combination of text, audio and video to convey a compelling message to its target audience. Evo developed several touchscreen kiosk for BetaLED as part of their trade show exhibit. 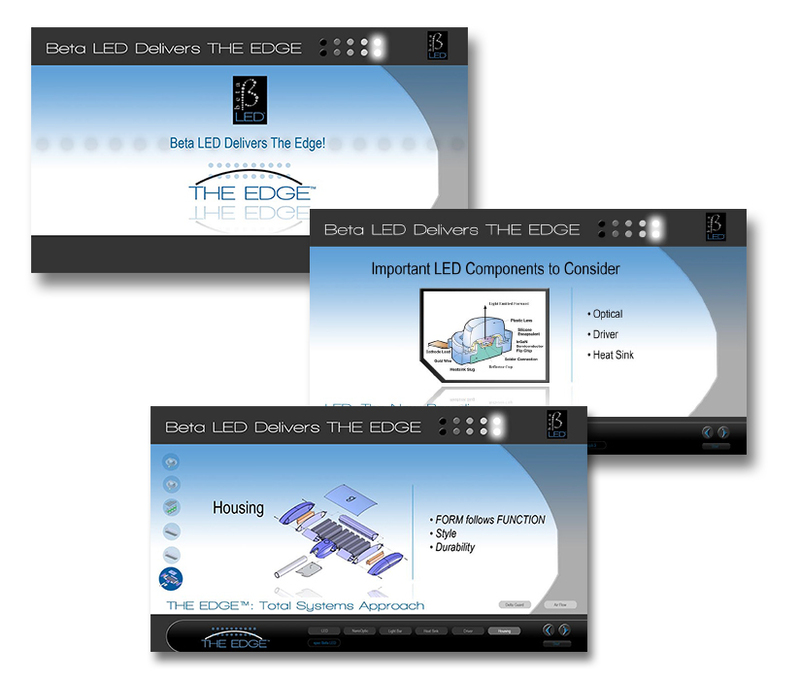 The kiosk is used to educate the audience about the benefits and pitfalls of LED lighting, and presenting BetaLED The EDGE™ as the only viable choice. The experiential marketing tool utilizes a combination of text, videos, audio and 360 views to present information in a compelling and engaging manner. So we dramatically cut back on the printed pages of our show directory, and put the information online. 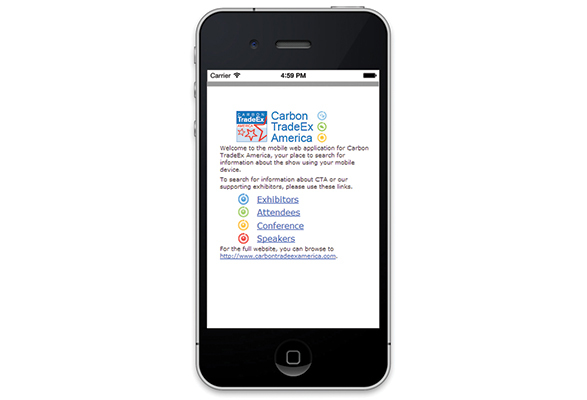 This also enables us to keep the information more current and be good environmental stewards.We did this by creating a mobile website specifically for Blackberries and iPhones, even though it is possible to view the mobile website on other mobile devices as well.